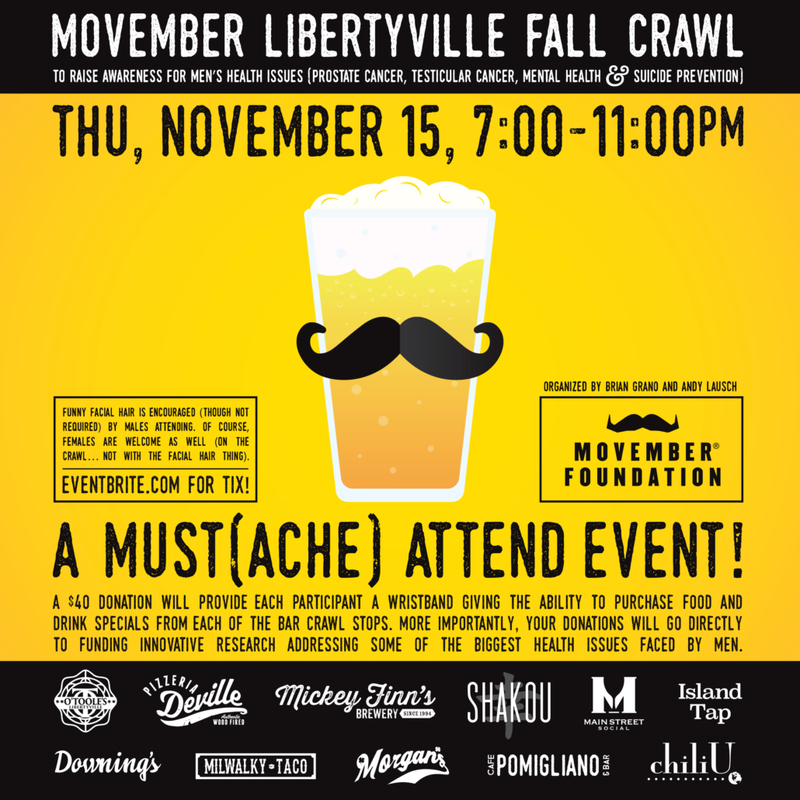 Join us (and many others) this Thursday, November 15th from 7:00-11:00 for the first annual Movember Libertyville Fall Crawl to raise awareness for men’s health issues (prostate cancer, testicular cancer, mental health & suicide prevention). A $40 donation will provide each participant a wristband giving the ability to purchase food and drink specials from each of the bar crawl stops. More importantly, your donations will go directly to funding innovative research addressing some of the biggest health issues faced by men. Funny facial hair is encouraged (though not required) by males attending. Of course, females are welcome as well (on the crawl… not with the facial hair thing). Karaoke Thursdays Yes We Can!